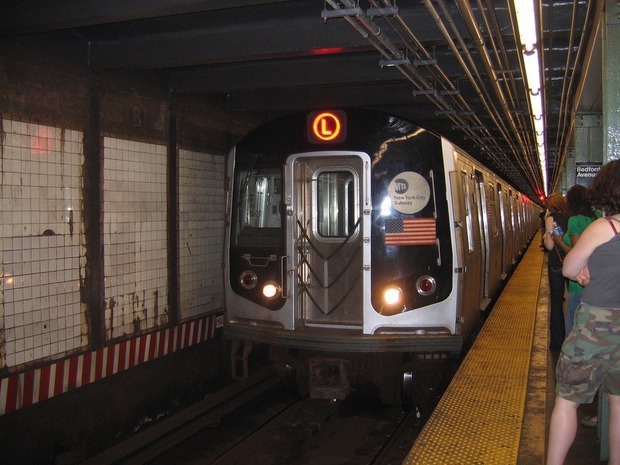 Commuters of North Brooklyn rejoice... the weekend L train is back for all of December. We announced earlier this summer that there would be 15 weekend shutdowns leading up to the April 2019 official shutdown. And since then, there have been frustrating weekends of taking alternative routes including dealing with shuttle buses and hectic traffic. Luckily, the weekend L will be in service, so no more waiting for a slow M train or dealing with cabs when the rest of the neighborhood is trying to find one too. Other options includes biking (if you're physically able to). Anyone who isn't confident in their skills to commute from North Brooklyn and into Manhattan can join the Bike Train with Transportation Alternatives. Luckily, that won't be as much of a problem this December, and just in time for the colder weather. And for any potential holiday shopping. We'll continue to keep you all posted on the ongoing saga that is the MTA. Cover photo courtesy of this post.